I’ll admit it… back when I was a single guy Halloween was never really one of my favorite holidays. That is – until my crazy holiday obsessed wife and I met. My wife dragged me kicking and screaming into complete and total Halloween obsession. And I live there quite happily now! One of the things I’ve come to realize is that Halloween is not just for kids. There are so many fun and classy ways for adults to enjoy Halloween too… like a spooky Halloween Cocktail! And that is the inspiration for today’s recipe. I partnered with Dad Gifts last year to bring you A Dad’s Guide to the Perfect Halloween Cocktail, and at this fun, festive time of year, wanted to share it with you again! Okay, so are you salivating yet? I think you will love this not overly sweet, bourbon based Halloween cocktail! The mandarin orange adds a lovely light sweetness. Use 2 mandarins for extra sweet smoothness. 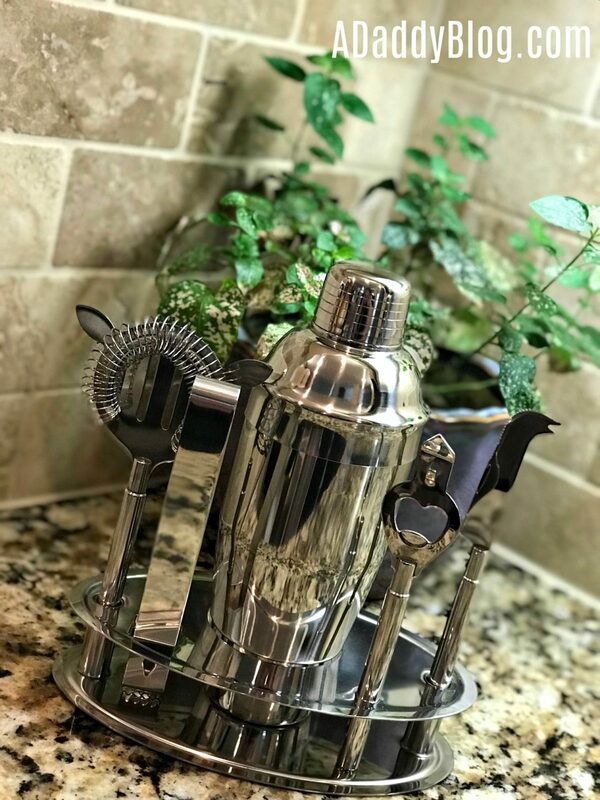 But before I give you the recipe, let’s talk really quickly about a few tools that are sure to help you make the perfect cocktail on Halloween – as well as anytime! Side Bar Cocktail Shaker Set – Available on DadGifts.com, this set has everything you need to make a perfect cocktail, and it’s also attractive enough to keep out on display. 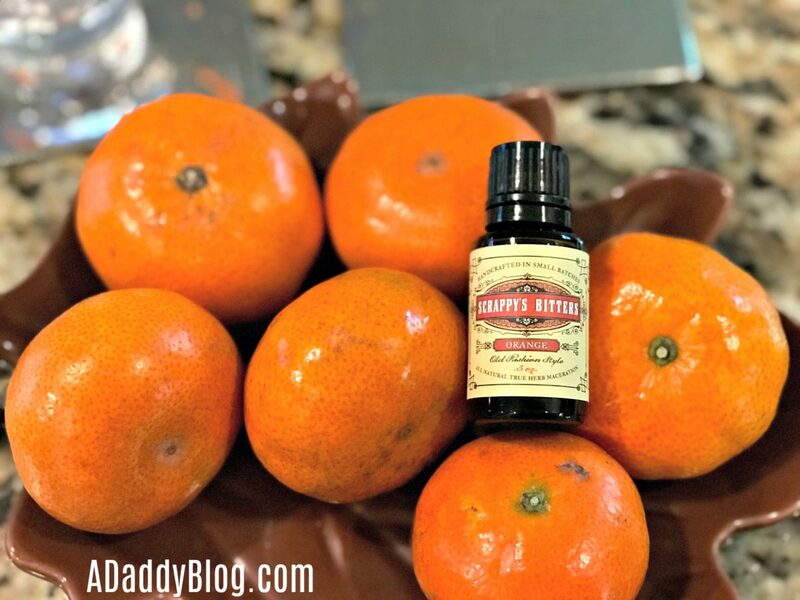 Scrappy’s Bitters – I got a box of these, and my flavors included Orange, Aromatic, Orleans, and Celery Bitters. A very Mad-Men-like addition to any cocktail. Hand made in small batches this is the perfect gift for a foodie dad! I used the orange bitters in this recipe, fyi! 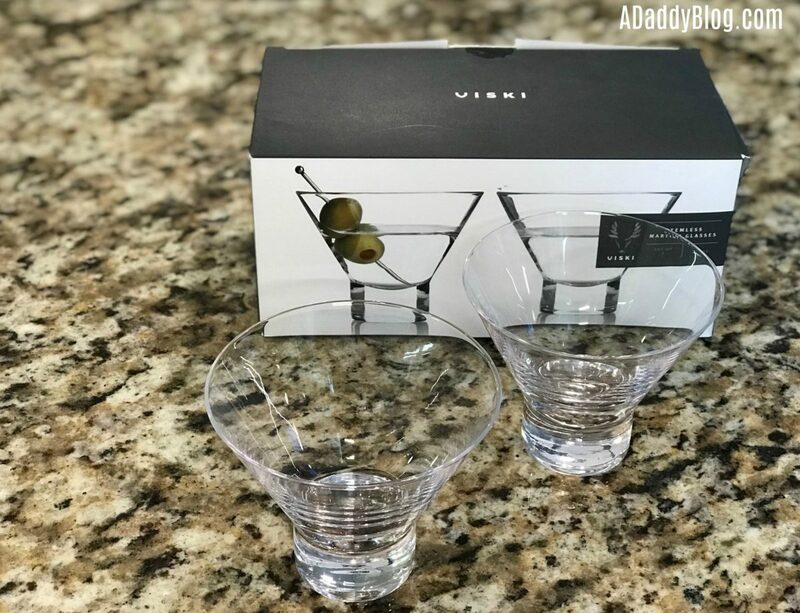 Stemless Martini Glasses – I love the no fuss look of these stemless Martini glasses. They make any cocktail look classy and fun. 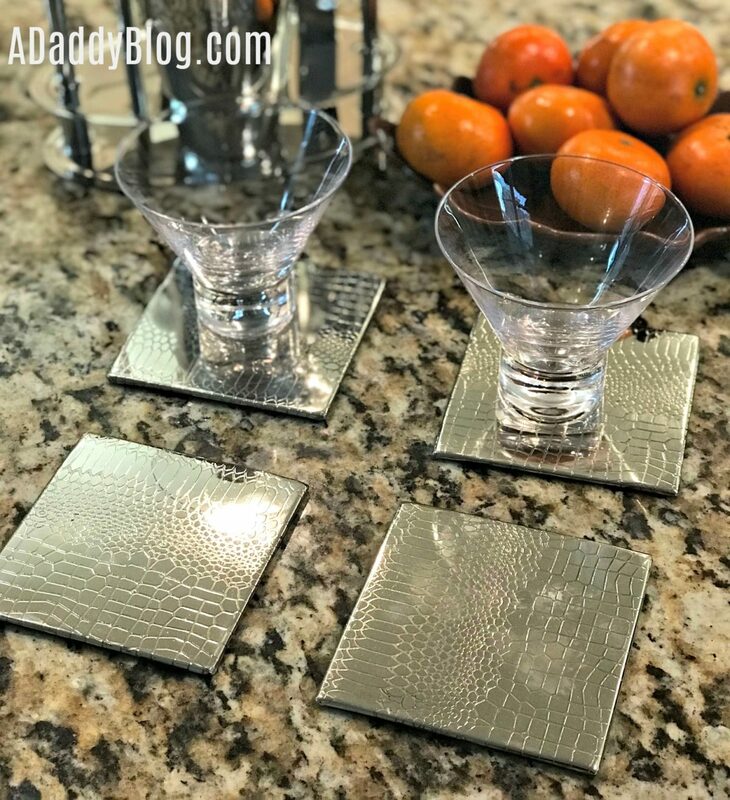 Crocodile Design Coasters – These Silver plated Coasters look sophisticated and pair perfectly with any holiday themed cocktail. Or just no theme at all. A great gift for a dad with simple modern tastes. A Couple handfuls of Ice. Grate a some mandarin ribbons from the skin of the orange and reserve for garnish. Then peel, and discard any white pith on the orange. Put in your cocktail shaker and muddle until the orange is juiced. Fill your shaker 3/4 full of crushed ice. Add your Bourbon, then Orange Liqueur, Sweet Vermouth, and Bitters. Shake it well, and then Strain – letting some ice come through. Garnish with the mandarin peel and enjoy! 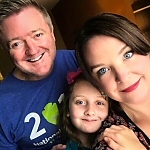 Many thanks for to DadGifts.com for providing the tools to facilitate this post last year. All opinions, as always, are fiercely my own. Drink responsibly, and have a very safe and Happy Halloween!